Alex Nichols will lead a powerful nine-man inov-8 team into battle at the opening race of the 2014 Skyrunner World Sky Series on Sunday. As in 2013, the first race is Zegama, an iconic yet brutally fast and technical 42k (26 miles) event staged in the mountains of northern Spain. With a total elevation gain of 2736m, Zegama is a beast of a course and takes no prisoners. Last year, US-based Nichols suffered an injury early in the race and was forced to withdraw. Despite this, the 29-year-old still finished third in the series after recording several outstanding results in the races that followed Zegama. Alex said: “I am definitely looking forward to some redemption after last year at Zegama. “I think the competition this year could be the best it has ever been, so I am not going to take anyone in the field lightly. “Having a full skryrunning season now under my belt is certainly going to help me in dealing with the technical terrain that makes Zegama so famous. In preparation for the 2014 Skyrunner World Sky Series, Alex has been training and racing at altitude in Colorado. He recently ran 3:13:37 to smash the 50k Greenland Trail Race course record and prior to that smoked the elite competition at the Moab Red Hot 55k. 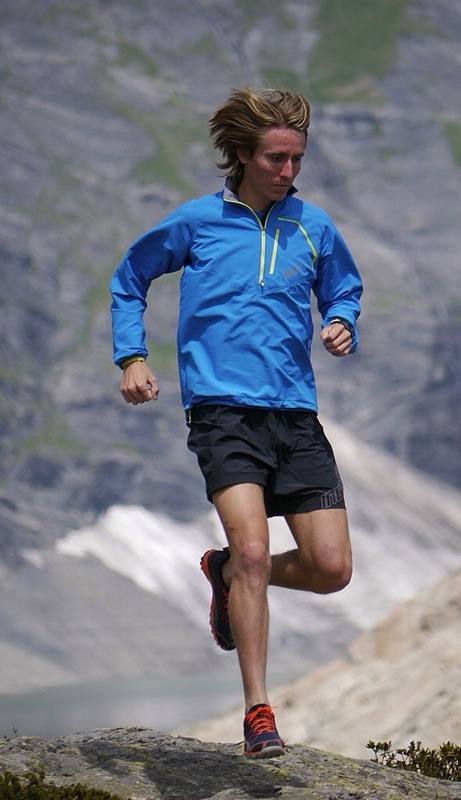 Alex said: “I have won two fast 50k’s at altitude this year in preparation for the skyrunning season. “It is difficult to find many races that are comparable to a true sky marathon, so I have instead focused on slightly longer distance races. Alex will be joined on the start line by inov-8 team-mates Eirik Haugsnes (Norway), Pierre-Laurent Viguier (France), Oli Johnson, Chris Steele, Robbie Britton (all UK) and Aritz Egea, Jokin Lizeaga, Pau Bartolo (all Spain). The Zegama course record of 3:54:18 is held by inov-8 athlete Rob Jebb, who set the fastest time nine years ago. This entry was posted in Uncategorized and tagged Aizkorri, Inov, Inov8, ISF, skyrunninh, Spain, Zegama, zegamaaizkorri by talkultra. Bookmark the permalink.